Varun Talwar is founder of the Withya Group. He is a serial entrepreneur and has established companies in HR, IT, Digital Media and Real Estate. His strengths are strategy, business development and investor relations. He has multi-country experience in Fortune 500 companies like AT&T, HP/EDS, and TCS. He has a B. Tech in Computer Science from PEC, Chandigarh and has taken MBA courses at George Washington University. Varun is Founder and Promoter of The HR Fund. 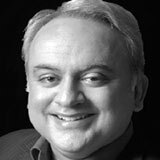 Pankaj Bansal is the Co-Founder and Chief Executive Officer of PeopleStrong, where he is responsible for building strategic partnerships and managing the overall growth of the company, both in Indian and international markets. Prior to establishing PeopleStrong in 2005, Pankaj worked with Aricent Group (erstwhile Hughes Software Systems), where he was a part of the founding team of the company’s BPO division. 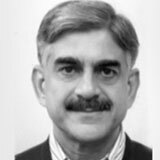 He also worked with SPML Infra Limited, Housing and Urban Development Corporation and was the Chief Operating Officer of WithyaDirect Inc. An active member of CII’s National Committee on Skills & Human Resources, Pankaj is also Regional President (North) at NHRDN, where he has previously served as the youngest member of the board. He is the Non-Executive Director at The HR Fund and Wheebox. Pankaj is a well-known and avid speaker at various national and international forums on HR shared services, recruitment, and HR technology, besides entrepreneurship. He has a Masters Degree in HR Management from the University of Pune and a Bachelors degree in Entrepreneurship from Delhi University. Pankaj is one of the promoters of The HR Fund. He is also on the board of Directors. Dr. Santrupt Misra, CEO, Carbon Black Business and Director, Group Human Resources of the Aditya Birla Group and Director on the apex decision making body of the USD 35 billion, Aditya Birla Group. He has over 25 years of experience in Education, Training, Consulting and Executive Development and has had full-time professional work experience with the J.K. Group, the Tata Institute of Social Sciences and Unilever, India. He holds two postgraduate degrees in Political Science and Personnel Management & Industrial Relations and has two PhDs in Public Administration and Industrial Relations from India and the Aston Business School in the UK, respectively. Santrupt is an investor in The HR Fund. Prior to this, he was Partner and Global Leader – People & Organization, Ernst & Young. He set up the HR consulting practice of E&Y in India from scratch in early 2001, was made the EMEIA Leader in 2009, and appointed as the first Global Leader for the P&O Practice in 2011. An Economics graduate from Loyola College, Chennai, and a business management post graduate from XLRI, Rajan spent 18 years in industry, before joining E&Y. NS is an investor in The HR Fund. 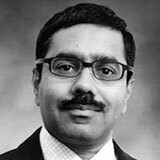 Pratik Kumar is the President of Wipro Infrastructure Engineering. 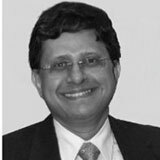 He has been associated with Wipro for the last 21 years and is a member of Wipro’s Corporate Executive Council. Pratik is an investor in The HR Fund. Dr. Agrawal is accredited executive coach and leadership consultant having extensive experience as a senior business leader who has been, Management Board Member, CEO, Director of marketing, Strategy and human capital management in some of the most reputed organizations in the country. Until recently, he was in the Management Board of RPG –a large diversified Group where he continues as Advisor with responsibilities for coaching business leaders , Chairing the Corporate Governance & Ethics Committee and overseeing the corporate social responsibility ( CSR ) activities run by RPG Foundation. Prior to this, he was Chief Executive at Escorts responsible for the two construction equipment business companies – Escorts JCB and Escorts Construction Equipment Limited. In addition, he was a member of the HR function in companies such as Escorts and Modi Xerox. He is an IIT Kharagpur and IIM Ahmedabad alumni and also holds a PhD from IIT Mumbai. Arvind is an investor in The HR Fund. He is also on the Board of Directors. 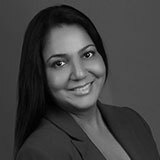 Devyani Vaishampayan is Regional HR Director, APAC and Middle East with G4S. Her previous experience includes being Global Head of HR at Rolls Royce Marine Services, Group HR Director for AET Tankers (a subsidiary of MISC with reporting to the Board) and large regional roles at the British Gas Group, Lucent Technologies, and Citigroup. In addition, she has had consulting experience at Price Waterhouse and at a boutique firm. 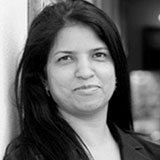 Devyani is a specialist in facilitating, managing and anticipating HR issues to help organisations stay competitive. In addition to being a trained Behavioural Scientist, Devyani holds a degree in Electronics and an MBA. Devyani is an investor in The HR Fund. Archana Bhaskar is currently VP HR Global Commercial for Shell and is based out of Singapore. Prior to her current role at Shell Singapore, She was Head Talent & Development, Downstream Businesses for Shell in Singapore. She was earlier HR Director UFS Europe at Unilever. She is an IIM Bangalore Alumni and also holds a degree from Lady Shriram College, New Delhi. Archana is is an investor in The HR Fund. She is also on the Board of Directors. 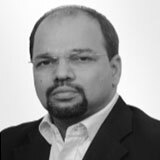 Manojit Sen is currently Head of Learning for Shell’s Supply & Distribution, Strategy & Portfolio and Alternative Energies businesses and is based in Singapore. Prior to this Manojit has been the Global HR Manager for Marine and the Global Talent Manager for Shell’s B2B businesses in Downstream. He has worked in regional and local HR roles in Shell, Coca-Cola and Marico. Manojit is a graduate from TISS, Mumbai. Manojit is an investor in The HR Fund. 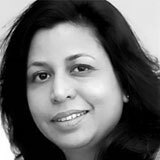 Sonali Roy Chowdhury heads Human Resources for the India market, and IMEA (India Middle East and Africa) Distributor operations for the US Multinational, Procter and Gamble. She is an alumni of XLRI Jamshedpur, and has 17 years of experience across P&G businesses having lived and worked in India, Singapore and Vietnam. Sonali has built expertise in Organisation Design, Leadership and Talent Development, Change Management, Employee Relations , Strategic Business Account Partnership, Diversity & Inclusion, and building high performance teams. Sonali is based in Mumbai. Sonali is an investor in The HR Fund. 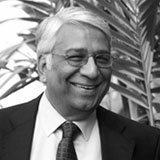 GP Rao is the founder of GPR HR Consulting a LLP that pursues a relationship partnership with academia and corporates for attracting, developing, leveraging and retaining good people. He earlier worked in the Industry for 37 years, with big organisations like SAIL, JK Org. and Reliance group across India and Malaysia. He is qualified in Commerce, Public Administration, HR, Law and Business Administration. He loves public speaking and networking cutting across diversity. GP is an investor in The HR Fund. 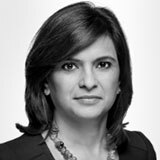 Preeti Gupta is President Rewards & Performance Management at the Aditya Birla Group. 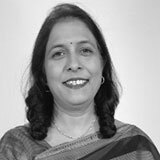 Preeti has a 14 year association with the Aditya Birla Group and has been responsible for Organisational Effectiveness at the Group level. Her current role has a strategic overview of the Rewards and related practices across businesses globally, including M&A and Startups. 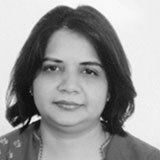 Preeti has 24 years of HR experience and holds a post graduate degree in Personnel Management and Industrial Relations from XLRI. Preeti is an investor in The HR Fund. 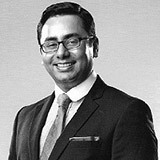 Navnit Singh is the Chairman and Managing Director of India for Korn/Ferry International. Based in the Firm’s New Delhi office, he also leads the Technology and Professional Services Market for India, besides leading the HR COE for India. Navnit brings with him nearly three decades of market experience serving clients in the talent management space. He holds a bachelor of arts degree with an honors in Economics and a postgraduate degree in Personnel Management and Industrial Relations. Navnit is an investor in The HR Fund. 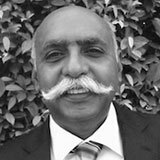 Mandeep is a Leadership and Transformation Coach and a HR Practitioner with over 25 years of work experience in the BFSI, Consulting and Manufacturing space. She currently leads Karma Consulting Solutions, a Consulting and Coaching practice based in Singapore, providing bespoke solutions in areas impacting Leadership and organisational culture. Her coaching clients are primarily business leaders in BFSI. She is a member of ICF and IAF. She has consulted with Ministry of Manpower, large Singapore corporates and host of MNCs in APAC as part of the Hot Spots Movement, a niche research and consulting firm. Prior to that, Mandeep was Country Head HR & Corporate Services at HDFC bank. Mandeep has a Masters degree in Personnel Management and Industrial Relations from TISS, Mumbai. Mandeep is an investor in The HR Fund. Jayaram Philkana is currently the Chief Human Resources Officer at UPL Limited (formerly known as United Phosphorous Limited) and is based in Mumbai. Prior to this, he has worked in Cargill for 18+ years as HR Director based in India, Indonesia, Singapore and USA, primarily in the Food sector. Jayaram holds an MBA in Personnel Management and Industrial Relations from XLRI, Jamshedpur. Jayaram is an investor in The HR Fund. Vipul Singh is the Vice President & Country Head of HR at ADP India. At ADP, he manages the entire HR strategy and execution across all business units in India. Prior to ADP, Vipul held a variety of leadership roles with Accenture and Tata Teleservices. Vipul was a key member of the HR leadership team for Accenture’s Technology business in India where he played a pivotal role in setting up the units in Hyderabad and Chennai. Vipul holds a Post Graduate Diploma in Human Resource Management from International Institute of Management (IMI) and a Bachelor’s degree in Economics Honors. He is a PCMM certified Auditor and a MBTI Certified practitioner. Vipul is an investor in The HR Fund. 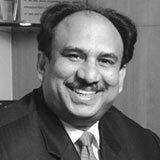 Gajendra Chandel is the Chief HR Officer at Tata Motors. Prior to this, he was President Human Resources at Tata AutoComp Systems where he drove the Corporate Sustainability & Affirmative Action Program and is also the Chief Ethics Officer. Prior to joining Tata AutoComp, he worked with SIEMENS in India, Germany and USA for almost 13 years where he held various assignments in different capacities. Gajendra is an investor in The HR Fund. 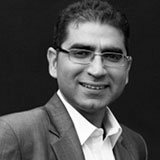 Varun Bhatia is Human Capital Strategist and Business Enabler with extensive global HR experience. Currently, he is the Chief People & Culture Officer at AirAsia. 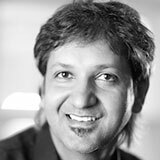 Prior to this, Varun was President of Growth Outcomes LLC, He was also CHRO and SVP with Levi Strauss & Co. Prior to Levis, he has worked with global majors like Kraft Foods, Gillette and P&G. Having more than 25 years of experience, Varun has performed a variety of in-country, regional and global HR roles across India, Singapore, US and UK. Varun holds a bachelor’s degree from SRCC and a PG in business administration from XLRI Jamshedpur. He is also an alumnus of executive development programs at LBS and Harvard University. Varun is an investor in The HR Fund. Vasu is an HR Leader with extensive experience in the Manufacturing sector across Asia in chemicals, semi-durable products, engineering and appliances and across Asia, Africa, Middle East, Europe and the Americas in Banking. 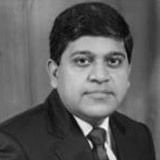 He has lived and worked in India, China, Taiwan and Singapore and has significant experience in Human Resources with Asian Paints, General Electric and Standard Chartered Bank. Vasu has provided leadership in developing, aligning and delivering HR and business strategies and has contributed to growth, performance and change management in entrepreneur led and multinational organisations. 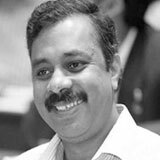 He holds a masters degree in Personnel Management and Industrial Relations from Tata Institute of Social Sciences. Vasu is an investor in The HR Fund. Anand is Vice President at ITC Infotech and he is responsible for driving the growth of certain focus verticals and strategic product Partnerships for the Americas. He has over 25 years of experience in HR, Sales and General Management delivering thought leadership and results in business strategy, operations management and driving organisational change. Prior to joining ITC Infotech, Anand has prior leadership experience with Syntel, Asian Paints and Otis Elevators. Anand holds a Bachelors in Science from Mumbai University and a masters degree in Personnel Management & Industrial Relations from the Tata Institute of Social Sciences in Mumbai. Saurabh Govil is the Senior Vice President of Human Resources at Wipro Ltd. and is also a member of the Management Team. Saurabh is responsible for Talent Acquisition, Talent Engagement, and Learning & Development initiatives across Wipro Ltd. and reports directly to the CEO. 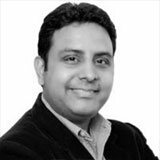 Saurabh joined Wipro in May 2009 and has been a HR practitioner for over two decades, having worked in organisations such as ITC and GE. Saurabh is also on the advisory board of SHRM India along with being a regular speaker at NASSCOM’s HR summit. He also contributes to NHRDN’s journal as an author. Saurabh is an alumnus of XLRI, Jamshedpur where he completed his masters in Human Resources. Saurabh is an investor in The HR Fund. 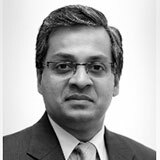 Govind V. Iyer is the Managing Director for Egon Zehnder’s India Offices. 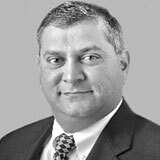 Govind leads the Private Equity Practice in India and is active in Egon Zehnder’s Industrial Practice, Technology & Communications Practice, and Family Business Advisory. 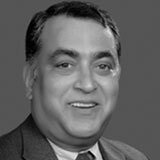 Prior to joining Egon Zehnder, Govind has held senior positions with Heinz, Coca-Cola and Procter & Gamble. Govind earned a Bachelor of Engineering at the University of Madras and an MBA with a focus on Marketing at The Wharton School, University of Pennsylvania. Govind is an Investor in The HR Fund. Rajnish Sinha leads Human Resources for North America, India, Philippines and other Geographies for NYSE Listed Genpact, an offshoot of General Electric. He is an alumnus of XLRI Jamshedpur and has 18+ years of Human Resources & Leadership experience. 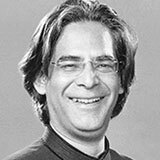 He has lived in the US and India and worked across Asia Pacific, Africa, Europe and both Latin and North America. Rajnish has built expertise in HR Business Partnership, Acquisitions & Rebadging as well as a wide array of HR processes. Rajnish has been with Genpact for close to 12 years and helped in building the HR team. Rajnish is an investor in the HR Fund. Prithvi is a professional with 20+ years of experience committed to adding value to teams & organizations and enhancing individual & group capabilities by developing engaging environments which facilitate delivery of effective service and value. Currently CHRO at HCL Technologies, Prithvi partners with senior leadership to shape the business strategy, identify human capital implications as well as design and deploy people practices to enhance performance and productivity. 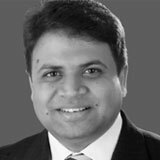 Prior to joining HCL in April 2012, Prithvi was a Partner at Accenture. He holds a Bachelor in Commerce and Master of Business Administration from the University of Bombay, India. Prithvi is an investor in the HR Fund. Rachna is the Managing Director of Executive Partners. She is a seasoned executive search professional with over 17 years of experience in Talent Acquisition & HR consulting with a wide range of clients from startups to fortune 500 companies. She has built specialisation in Banking Industry Financial Services, Technology, Real Estate and Consumer Packaged Goods particularly in Talent Acquisition, Diversity Projects and Independent Reference Check. She has previously worked with Proactive Consultants, Stanton Chase & Odgers Berndtson in varying capacities. Rachna is based out of Mumbai. 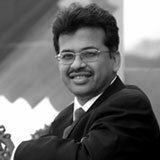 Milind Sarwate, the Founder & CEO of Increate Value Advisors LLP, brings 32 years of experience in Finance, HR, Strategic Planning, Business Development & Product Supply, in groups like Marico and Godrej. He currently holds Independent Non-Executive Directorship & Chairmanship of the Audit Committee in 5 companies and several advisory roles in corporate value creation. 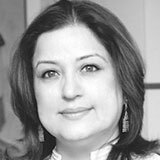 Shefali is an HR professional and internationally experienced executive coach with 20 years of experience. 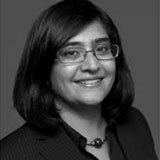 She has worked in or been associated with large multinational organisations (Unilever, Barclaycard, ANZ Grindlays, SBI Caps among others) in different geographies. She has also been associated with global Leadership Development companies including Korn Ferry. Her areas of expertise include Executive Coaching, Talent Management, Leadership, Organisation Effectiveness, and Diversity including development of senior women leaders. Shefali is an alumni of XLRI and she is currently based out of New York. Ameesh is an HR professional with Standard Chartered Bank based out of Singapore. 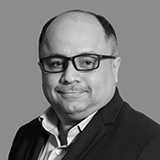 He has 15 years of experience, largely in HR Business Partner roles, across various business divisions and geographies with the Bank, having worked in India, UK and Singapore. Prior to this, he worked with Gillette India for two years. Ameesh has developed expertise in HR Business Partnership, Performance and Reward Management, Talent Management and Development, Change Management, Employee Engagement, and specialist skills in Employee Relations as part of his current role. Ameesh holds a Bachelor of Engineering degree, and a Masters in Personnel Management & Industrial Relations from XLRI, Jamshedpur. 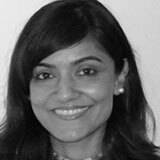 Jyoti Rai is Vice President and Chief of Staff for Human Resources at American Express and is based out of Scarsdale, NY. Jyoti serves as a senior advisor to the Chief Human Resources Officer and is a key member of the Global Human Resources leadership team. She joined American Express in 1999, after spending five years working as a Human Resource consultant. In her most recent role as the head of Market HR for India, she led the Indian business organisation transformation, worked on strengthening leadership capacity and built a pipeline of women leaders for the market. Jyoti earned a bachelor’s degree with honors in Physics from the University of Delhi, a master’s degree in Personnel Management from the University of Pune and a global executive master’s in HR leadership from Rutgers, The State University of New Jersey. She is a member of the National HRD Network and the Indian School of Business Center for Executive Educations Alumni Network. Sanjay Sathe is the founder and CEO of RiseSmart, a company that delivers career transition services using technology. With a roster of Fortune customers and backing from VC investors in Silicon Valley, RiseSmart was acquired by Randstad. Previously Sanjay has had more than 20 years of experience in marketing and general management, domestically and internationally. 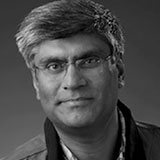 Sanjay served as VP – Big Data for Sabre Holdings. Before, Sanjay was SVP – Marketing for Brierley & Partners. He also has worked as a Marketing Leader in Asia and at the European Headquarters at Lufthansa, and earlier in Asia with HSBC and other major corporations. Sanjay holds a Master of Business Management degree from Asian Institute of Management in Manila, Philippines, and has completed an executive program at Wharton School. He is a Charter Member of TiE Silicon Valley, Investor & Mentor of TiE Launchpad SV. He is on the board of the Asian Institute of Management Alumni Association. Ajay Kumar is based in Baltimore, US and works for BD (Becton Dickinson) as VP Human Resources – Diagnostic Systems Business. Ajay started his career in India with Unilever where he held roles in Plant HR, Industrial Relations, Training & Development, Business HR Partnership, Management Development and Talent Management. 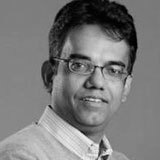 He joined BD in Jan 2007 as the HR Head for BD India. He moved to Singapore in 2011 as Head of Talent Management for BD Asia Pacific, before taking up his current role in 2013. Ajay did his MBA in HR from XLRI Jamshedpur. He is a qualified Myers Briggs (MBTI) practitioner, a certified OD practitioner (Certificate Program in Organisation Development – NTL Institute), and a trained 7 Habits Trainer. 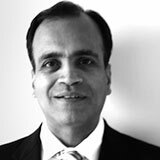 Ajay is currently Executive Vice President – HR & Risk Management at Colgate Palmolive India Limited. 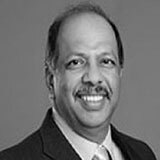 He was previously the global HR head for Colgate’s IT & Business Services division based in New York and the HR Director for Malaysia & Singapore based in Kuala Lumpur. 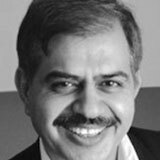 He has driven large organizational change projects and led HR teams in the US, Mexico, Europe, Southeast Asia and India in his 15 years as a HR professional. Prior to Colgate, Ajay worked for Asian Paints. Ajay holds a bachelor’s degree in Commerce, a master’s degree in Psychology and a PG in HR from XLRI Jamshedpur. 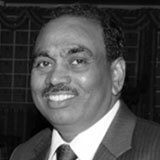 Prabhakar is Vice President – HR of the Agri Business Division of ITC and is a member of the Management Committee. 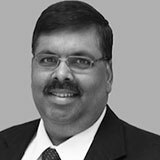 He has been associated with ITC in different businesses and roles for 21 years and for 7 years with TVS and Murugappa Groups. His experience spans all facets of HR including Social Responsibility, with stints also in IT and Business Planning in different industries and different contexts. Committed to strengthening HR and Sustainability, he has been actively associated with professional bodies like NHRD, CII and Global Compact Network. An Engineering Graduate from REC, Suratkal, he did his post graduation in Personnel Management & Industrial Relations from XLRI. Mudit Saxena serves as the Business Leader for Asia (China & Japan), Genpact and is responsible for driving business growth in the region along with the operational responsibility. 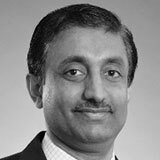 Mudit joined Genpact in 1999 and has spent 17 years within the organization in multiple roles. Prior to joining Genpact, Mudit was part of the Consumer Banking Industry in India. In his initial years he worked with the GE Money Business with a focus on running their Outbound and Inbound call centers. He worked with Bank of America where he was the Head of the Autoloan business. He has also worked with Citibank and American Express TRS. 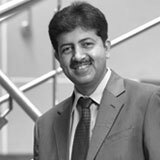 Sanjay Sharad Sen is Group VP, HR at Avantha Group since 2012. 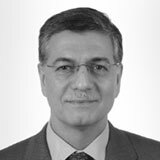 He has over 30 years expertise in HRand Business Strategy roles across a wide range of industries such as Engineering, Hospitality, Consumer Products and Banking, and for a wide spectrum of organizations from large multinational firms (Gillette, Citigroup) to promoter-owned conglomerates (Oberoi, Dubai Group). He has worked in a number of international markets – across Asia, USA and Europe and in national, regional and global roles. His core competencies are grounded in spearheading organizational transformation, shaping high-performance cultures and building robust people development programs that have successfully attracted and retained top talent. Sanjay has a post-graduate degree in Human Resource Management from XLRI, Jamshedpur. Inder Walia is the Group Director – Human Resources of Bharti Enterprises Ltd since 2007. He is also a member of the Bharti Management Board. Prior to this he was the Executive Vice President – Global Human Resources and a member of the Group Management Committee of ArcelorMittal. He has been a leader in Human Resources for more than three decades with the last 17 years in global roles with expertise in integrating acquisitions, turn-around of acquired assets and scaling up operations. 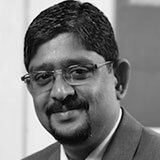 Dr. D. Prasanth Nair is the Managing Partner and Country Head of Inhelm Leadership Solutions–a firm specialising in Executive search and Human Resources Consulting. He is a Co-founder of an ecommerce venture in the healthcare domain. He also is a member of advisory boards of two other startups. In his career, he has headed HR for organizations like Thomas Cook India and Cipla. In Thomas Cook, in addition to HR, he was responsible for the Insurance distribution business. 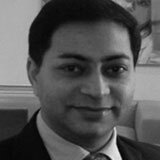 He has also worked in GEC Alsthom, RPG Group and Wockhardt. He is a Mechanical Engineer and Doctorate from the Indian Institute of Management, Ahmedabad. Amita is currently Executive Vice President for Start India Group. In her 22 years of experience, she has been in leadership positions in fast growing organisations across multiple industries. She has successfully managed Head of HR as well as Line/Corporate roles with multiple business/country responsibilities. She has experience in diverse industries ranging from Asian Paints to GE Capital, Genpact, MetLife India Insurance. 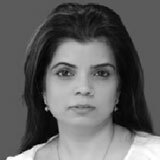 She has worked extensively with global teams across US, Europe and Asia including setting up Genpact’s Global Employment Organisation across 12 countries in Europe & Asia. Amita is an Electronics & Telecom Engineer with a specialisation in Human Resources from XLRI. She also provides support to multiple NGOs including Care India. Amita is currently based in Mumbai and enjoys reading, travelling and spending time with her family. Jasan Manghnani is currently Regional Head of Digitisation, payment platforms for ASEAN and South Asia at Standard Chartered Bank, based out of Singapore. Prior to joining Standard Chartered, he was Head, Client Delivery, Asia Pacific at Royal Bank of Scotland. He has been in Singapore for over 10 years. Before moving to Singapore, Jasan worked with ABN AMRO Bank and Bank of America in India in various positions within Transaction Banking. He is a JBIMS alumni. Sumer Datta is the founder of Aamoksh Leisure Living, a company that is foraying into setting up retirement resorts in India to cater to the growing need for elder care. Till July 2007, Sumer was with Hewitt Associates India Pvt. Ltd, where he was heading the Outsourcing business for Hewitt in the Asia-Pacific region. Prior to this, he was the Country Manager for Hewitt’s India Operations. He was also part of the Asia Pacific Leadership Team with responsibility for driving the strategic business direction of Hewitt in the region. He has more than 19 years of experience in Consulting and Business Management. Sumer is a postgraduate in business management, with a specialisation in finance. Sumer is an investor in The HR Fund. Arun Kumar Garg is a practicing Chartered Accountant from Delhi. 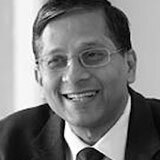 He is in practice since 1985 and is a Senior Managing Partner at the firm Arun K. Garg & Associates. Arun specialises in accounting outsourcing, management consultancy & audits and has been professionally associated with Fortune 500 MNC Clients in India, Automobile Sector and Large Indian Corporates. Arun is also a Professional/Independent Director in a few Public Listed Companies and Private Limited Companies. 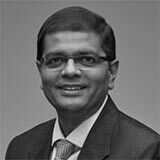 He is also a government nominated Director on the Board of Tata Power Delhi Distribution Ltd. He is a Bachelor of Commerce from Delhi University. He is also on the board of Directors. 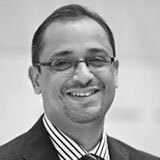 Syed Ali Abbas is the Group HR Director for Global Fashion Group (GFG), reporting directly to the Group CEO. In this role, he provides corporate HR leadership for the group globally and serves as a strategic advisor to the 5 member companies world wide, Abbas has 17 years of HR experience. Prior to GFG, he has served in senior roles including Executive Vice President of HR for Lazada Group, Chief HR Officer for the Pacnet Group and Executive Director of HR for AT&T Inc. Abbas is currently a member of the Executive Council of the Singapore Human Resources Institute (SHRI), a nominated Subject Matter Expert in Strategic HRM for the Society for Human Resources Management (SHRM) and a Life Member of the National Human Resource Development Network of India (NHRDN). He holds a Postgraduate Diploma in Business Analysis from Lancaster University in the UK and a BA (Honours) degree from Delhi University in India. Ram oversees the entire gamut of Human Resources deliverables for GSS employees (~3000 FTE’s)– Talent Acquisition, Employee Engagement, Employee Relations, Organizational Design, Compensation Planning & Deliver, Process & Leadership Training and Employee Welfare. Ram is responsible for defining GSS people agenda and in leading the execution of its people initiatives on high-value strategic priorities, Building people capabilities to enable shared Services penetration and creating value through enhanced people productivity and in sustaining a performance driven culture across GSS sites. Ram has over 25 years’ experience across HR functions, such as Relationship Management, Employee Relations, Compensation and Benefits, and Talent Acquisition in multiple industries including Manufacturing, Fast Moving Consumer Goods (FMCG), Financial Services and IT Enabled sectors. Ram was actively involved in evolving & leading the NASSCOM (IT and ITeS industry body) ‘Leadership Series’ focused at developing emerging leaders. Ram graduated from Delhi University with a Bachelor’s degree in Commerce. He is also a Post Graduate in Personnel Management & Industrial Relations from XLRI, India’s premier business school for HR Management studies. Utkarsh is Founder at UnoTumbler, UnoTumbler aims to provide advice and guidance to startups and founders. Prior to this Utkarsh was CEO and Partner at The HR Fund. He was also a part of a boutique investment setup . His earlier experience includes consulting and technology roles with global majors Cognizant and Accenture. Utkarsh holds a Bachelor of Engineering from Vellore Institute of Technology, Vellore and an MBA from the Indian School of Business, Hyderabad. Ranjay Radhakrishnan is the Chief Human Resources Officer at InterContinental Hotels Group (IHG) – a global hospitality company in the FTSE 100. At IHG, Ranjay is responsible for all aspects of the people and organisation strategy for the Group which has over 5000 hotels across nearly 100 countries. Prior to joining IHG, Ranjay spent 23 years at Unilever, in a range of senior leadership roles at global, regional and country levels. These include roles in a number of specialist areas of HR such as Talent, Learning, Reward, Organisational Effectiveness; complementing large HR generalist roles in both mature and emerging markets. 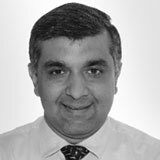 Ranjay has worked and lived in several countries, including the UK, The Netherlands, Singapore, UAE, and India. Pankaj Kedia is the Sr. Director for the Emerging Markets regions at Dolby Labs. Pankaj’s is responsible to help establish and grow Dolby’s business across various market segments, including broadcast, OTT, PC, mobile, consumer electronics, and gaming across the regions comprising of South East Asia, Australia New Zeeland, Africa, Middle East and India. Prior to joining Dolby Laboratories in 2009, Pankaj worked at Autodesk for 11 years, where he served as head of the Media & Entertainment business for China, India, and Southeast Asia. Pankaj has worked in the media, entertainment, and visual computing industries for nearly two decades, holding a variety of key positions in management, sales, marketing, pre-sales, and solutions integration. areas related to HR strategy, HR Analytics, Corporate mergers & acquisitions, Leadership talent acquisition and succession management, executive compensation and leadership development. She is an investor in The HR Fund.